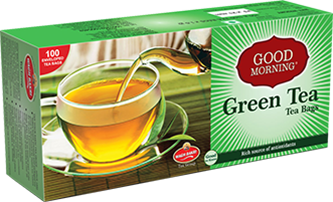 Wagh Bakri Tea master blenders & tasters have selected the finest green tea made from the leaves of Camellia Sinensis that have undergone minimal oxidation during processing. 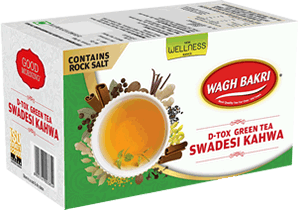 Wagh Bakri Green Tea is naturally rich in antioxidants (flavonoids). The antioxidants (flavonoids) may help to reduce the harmful effects of stress and pollution on your body. 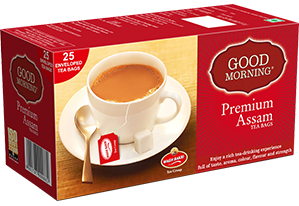 Good Morning Premium Tea is preferred by connoisseurs as one of the finest blends of tea. 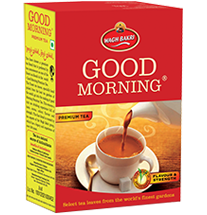 The blend had been prepared by Wagh Bakri's expert tea tasters and promises a rich combination of aroma, taste, colour, flavour and strength. 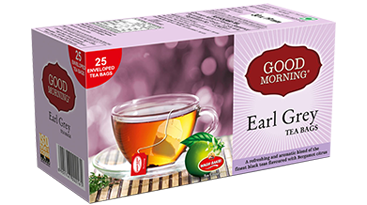 Good Morning Earl Grey is a blend made of the finest black teas and infused with the rejuvenating subtle flavours of the citrus fruit, Bergamot. 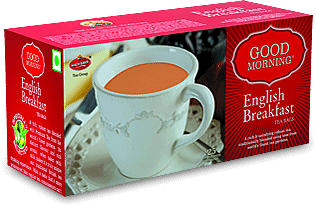 An 'afternoon tea' often associated with connoisseurs in England. It is known for its distinct aroma and flavour. 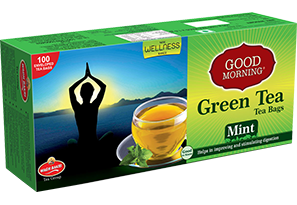 This natural blend has a light, refreshing taste that offers a sense of well-being when sipped. 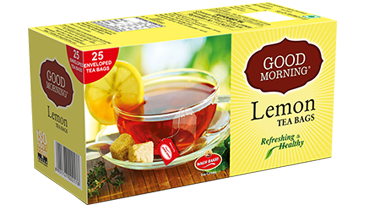 It is served hot, without milk, and is also great as an ice tea. 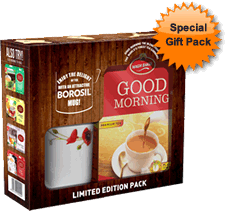 Good Morning Premium Assam Tea Blend is made from finest tea leaves, specially hand-picked from the best tea gardens. 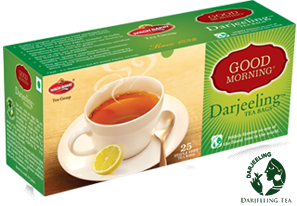 This ensures a rich tea drinking experience full of taste, aroma, colour, flavour and strength. 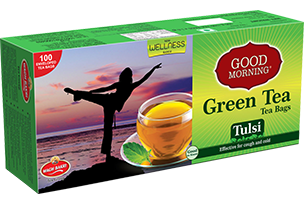 This blend is also preferred by tea connoisseurs as one of the finest tea blends in the world. The antioxidants (flavonoids) may help to reduce the harmful effects of stress and pollution on your body.